Adding any driver to a policy is going to affect the premiums for that auto insurance coverage. When the driver is a newly G2 licensed person under the age of 25, costs can be substantial. This can be a rude wake up call, since G1 drivers generally don’t affect the cost of a policy when added. With knowledge and planning, this impact can be reduced through careful insurance shopping. Our partners have special rates for G2 drivers. Enter your postal code into Ratelab’s calculator above to access the best G2 car insurance rates from dozens of insurers. 2 What Can Help G2 Drivers Save Big On Auto Insurance? 4 How Much Cheaper is, Insurance from G2 to G? Once you have had the G1 license for 12 months, or 8 months after you successfully complete a driver’s training course where the driver must pass an advanced road test, the driver will be issued a probationary license (referred to as the G2). 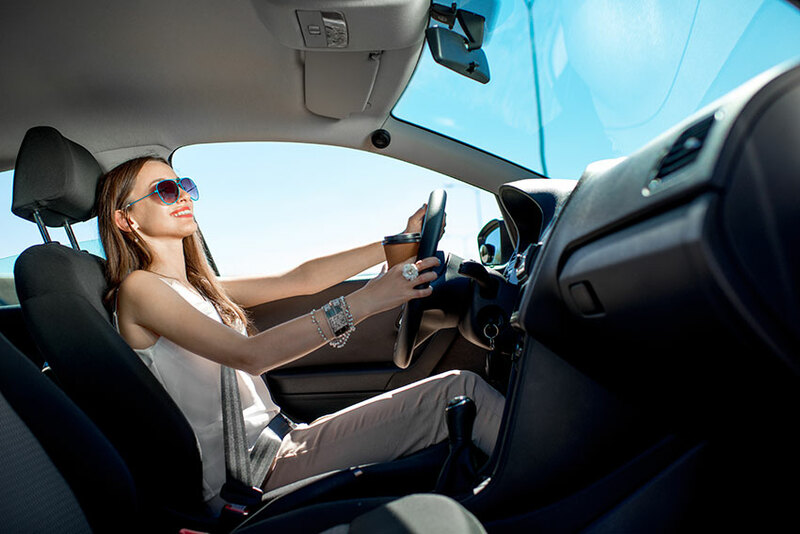 With the G2 license, the driver can drive whenever he or she wishes, alone or with passengers. G2 drivers cannot drive between 12:00 a.m. and 5:00 a.m. They are limited on the number of travellers under the age of 19 between midnight and 5 a.m. The G2 driver will gain experience as he or she complies with the restrictions and avoids traffic violations and accidents. In Ontario, it is relatively cheaper to add an inexperienced driver to your policy, especially compared to purchasing them their own vehicle. Although, your insurance company will charge additional premiums for adding another driver onto your auto insurance policy. What Can Help G2 Drivers Save Big On Auto Insurance? Insurance providers often offer discounts to young drivers who are still in school. G2 drivers who are still in school with an average grade of an”A” and “B” are viewed as more responsible compared to those with poor grades. One of the major factors used by insurance companies in the calculation of auto insurance premiums is the model and make of the vehicle. Expensive vehicles with expensive parts will cost more to insure than the inexpensive vehicles, so to obtain cheap auto insurance it is recommended that G2 drivers opt for a less inexpensive car. Equally important is the need for the G2 driver to keep up a clean driving record and avoid poor driving habits. This can now be verified through usage-based insurance programs, offered by a few insurers in Ontario. Using either a smartphone or a device inserted into the diagnostic port of a vehicle, driving conditions such as acceleration, braking and time of day the car is driven can be collected and reported to the insurance company. This telematics information can’t be used to raise premiums, but it can lower costs over time as it shows good habits in practice. Companies offer a 5 or 10 percent discount just for enrolling in the program as well. Most car insurance companies offer discounts to those who successfully complete driver training programs. Since these people are usually young, under the age of 25, the discount helps offset high insurance prices experienced by this group of drivers. Insurance companies charge premiums based on risk, and the under 25 group is statistically more likely to be involved in accidents. These accidents are generally more serious and cost more in insurance claims than those involving older drivers. Not just any driver training qualifies a student to insurance discounts. The Ministry of Transportation in Ontario sets standards for driver training and certifies driving schools that provide driver education that meets those standards. Insurance companies offering discounts for successfully completing driver’s education only recognize certificates from schools offering MTO approved training. There are schools operating that have either not received MTO approval or that have lost MTO certification. Insurance companies will not accept certificates received from these schools as proof of driver training for discount purposes. Learning drivers can check with the Ministry of Transportation’s website for schools providing approved driver training courses. How Much Cheaper is, Insurance from G2 to G? When it comes to the three levels of licensing under Ontario’s graduated license system, there’s just one distinction when it comes to the cost of insurance. G1 drivers have the longest list of driving restrictions, the foremost being that they are required to have a supervising driver in the front passenger seat at all times. Insurance companies generally don’t charge for G1 drivers when listed on another driver’s policy. G2 drivers, on the other hand, have fewer restrictions and they can be in a vehicle without a supervising driver in many situations. At this point, the G2 driver is charged for auto insurance, whether their own or as a named driver on someone else’s policy. The same applies to a driver with a full G license. License level is not as much an influence on insurance pricing as the other personal factors that affect a driver’s risk in the eyes of insurance companies. Any speeding tickets or insurance claims will drive up insurance prices for a driver whether they have a G2 or G license. Perhaps the biggest factor after driving infractions is the age of the motorist. In Ontario, age 25 remains the point where the biggest savings in car insurance costs are had. Drivers crossing this threshold move into a statistically safer demographic. Ratelab’s car insurance calculator is your secret weapon to access the lowest car insurance rate for your G2 driver. Because of the competitive nature of Ontario’s auto insurance industry, every insurance provider seeks to find the unique blend of factors to price car insurance that gives them a profitable advantage. By entering your car insurance needs into Ratelab’s calculator, you can painlessly search insurers for the lowest rates, giving you the chance to focus on only the lowest cost providers. With the lowest overall rates in hand, you can negotiate your best deal and minimize the impact of adding a G2 driver.